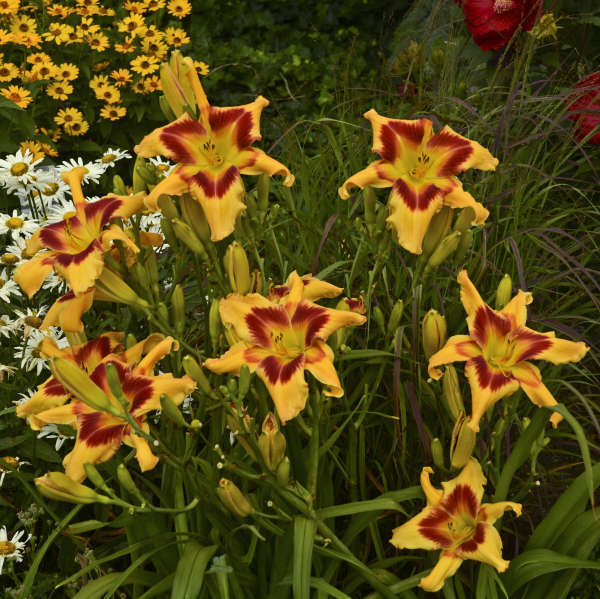 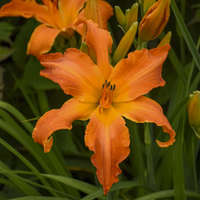 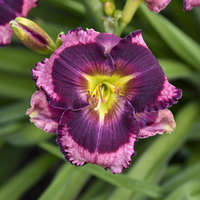 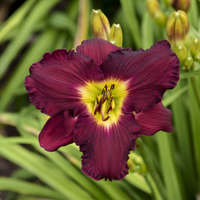 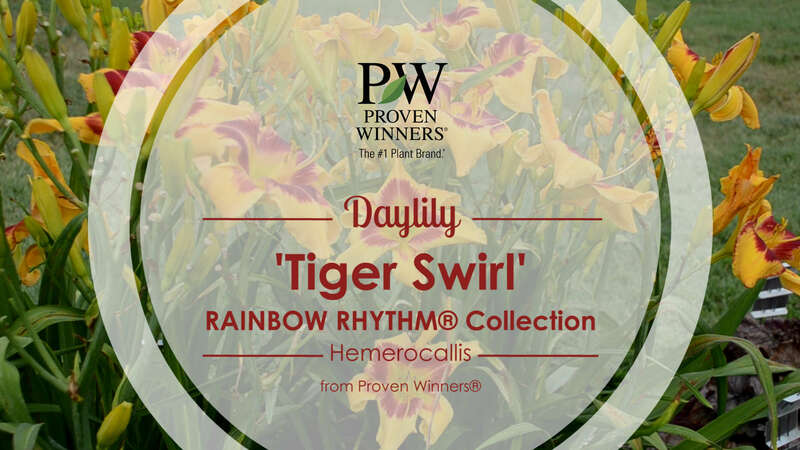 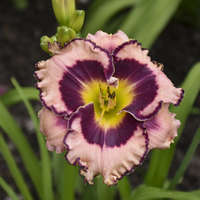 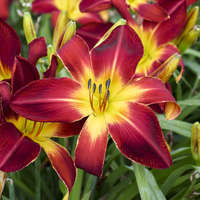 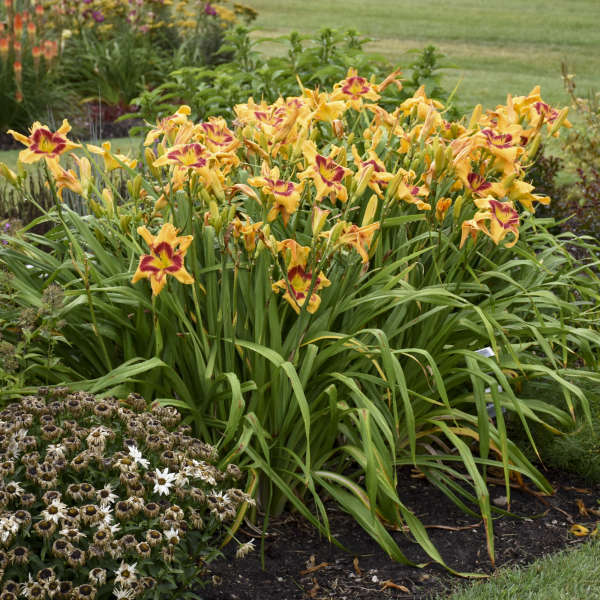 This new and exciting variety stands out from the rest of the daylilies with its uniquely shaped petals. 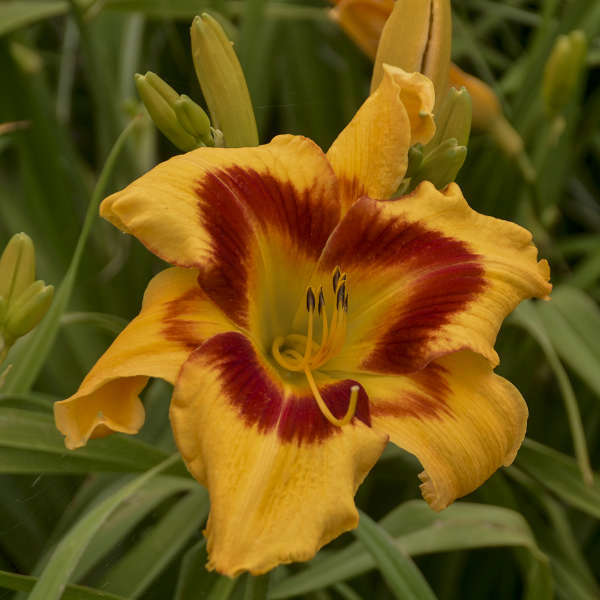 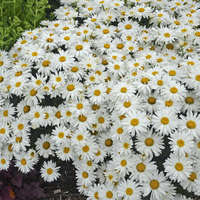 Huge, 6.5in triangular-shaped flowers are light golden yellow with a pronounced raspberry red eye. 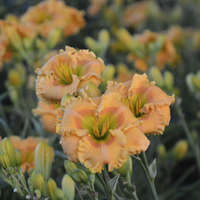 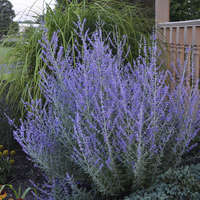 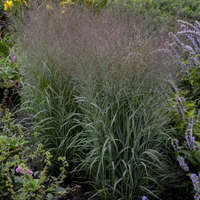 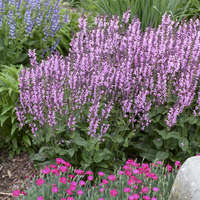 Its bottom sepals are smooth, often twisting or curling into a “swirling” motion. 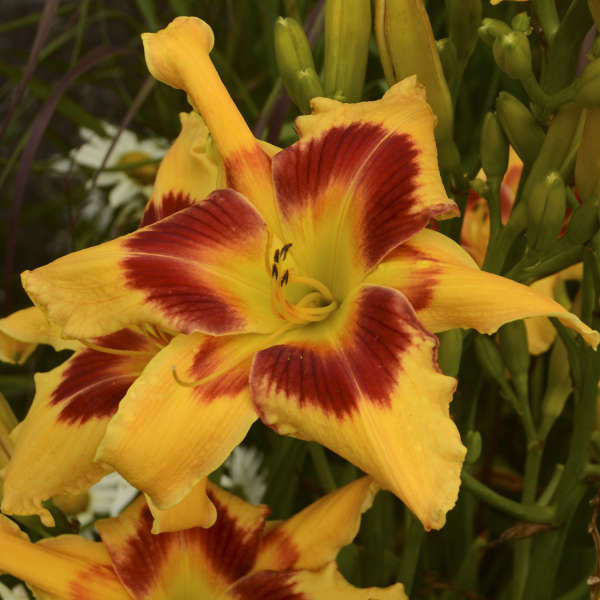 This is the perfect companion to ‘Primal Scream’, matching its spider-like look. 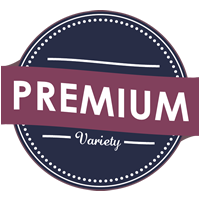 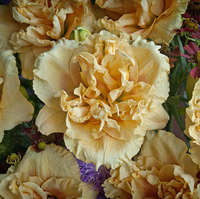 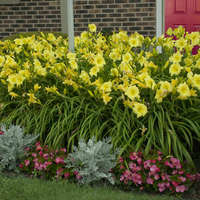 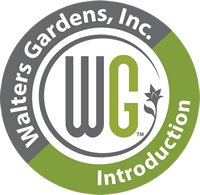 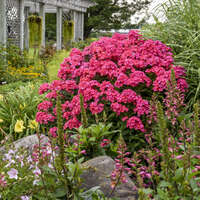 Daylilies are a perfect landscape plant and possibly the most care-free and easiest perennials to grow.